YEREVAN. 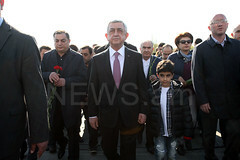 – The next meeting of the Eurasian Intergovernmental Council will be held in Armenia’s capital city of Yerevan on April 29 and 30, and Russian Federation (RF) Prime Minister Dmitry Medvedev also will arrive in the Republic of Armenia (RA) on April 29 to attend the meeting, according to Hraparak (Square) newspaper. 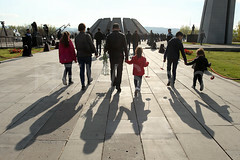 “Our sources report that, and in all likelihood, the RF president [Vladimir Putin] will arrive in Armenia in fall. “No matter how tense [their] relations are, Vladimir Putin does not want to break ties with the RA authorities, and [he wants] to maintain balance in relations with Armenia and Azerbaijan,” Hraparak wrote.